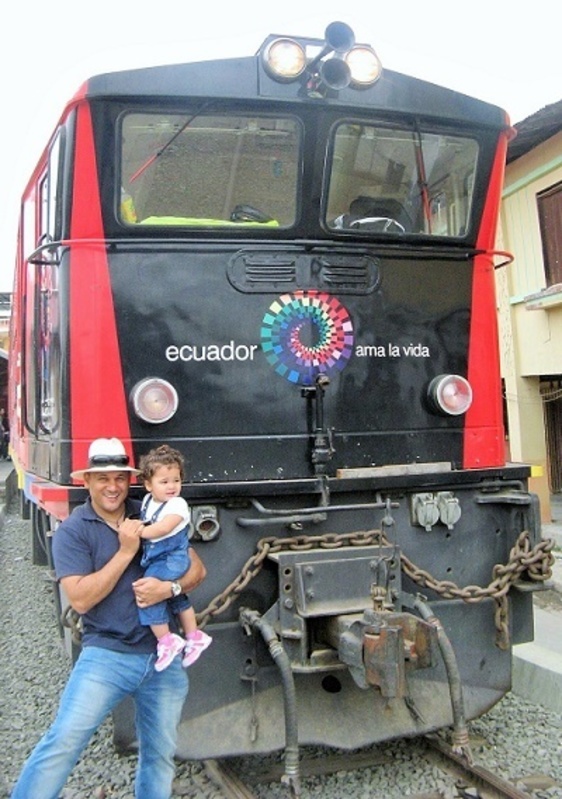 We’ve had the chance to talk to Shawn Berry, 38, a South African expat who has moved to Ecuador with his partner. Mr. Berry who has been living there for eleven months now works as a maritime archaeologist. A: I am from South Africa, born in the Western Cape and grew up in Cape Town. A: I left in order to be with my partner and our new baby. And it was time for a change in my career because I seemed to have reached the ceiling back in South Africa. A: Now I am in a beautiful and sprawling city of Guayaquil, Ecuador. A: I never really had a choice in settling here because my partner is from here, but, the humidity aside, I really enjoy the city. A: I have been back and forth to Ecuador for the past three years, but I officially moved here last September, which means I have been residing here now for around eleven months. Q: Would you say that formalities like getting visas or work permits and international health insurance were particularly difficult in Ecuador? What was your experience with these? A: I think my process was fairly straightforward. It certainly helped that I have an Ecuadorian child which meant that I could apply for a 9VI EC visa. This is an indefinite visa which gives one all the rights of that of an Ecuadorian citizen, except the right to vote obviously. As a growing economy, Ecuador has been recruiting professionals from abroad and they seem to be relaxing the visa requirements for skilled professionals who has a minimum Master degree. One of their programs is the Prometeo aimed at international Ph.D’s. I was really lucky with the application process for my visa because my partner, as an Ecuadorian and Economist, knew which steps to take. In total, it took me around six weeks to obtain my visa, and we literally walked into the insurance company and back out again in around twenty minutes. I have now registered as a taxpayer which makes me eligible to work in Ecuador either in my private capacity or the State. Q: Are you living alone or with your family? How are they adjusting to the Expat Lifestyle? A: Yes I am with my family. Luckily my partner is from here and my daughter has spent 90% of her time here, therefore the only adjustments are from my side. A: Although situated in the coastal region, many people make the mistake of thinking that Guayaquil is at the beach when in fact it is around two hours away. Other than that minor detail, for nature lovers, there are many outdoor activities to do such hiking in the Cerro Blanco protected forests on the outskirts of town. There is also the reserve of Santay, which is a small island reached by taking a boat from the Malecon 2000. There is also a beautiful hill, Santa Anna Hills and the neighboring Barrio Las Peña which is a neighborhood dedicated to artists. Then there are the Parque Historic, my favorite, the Iguana Park and Guayaquil Cathedral in the city center. At night the town comes to life with many people visiting local coffee shops where live musicians entertain patrons and the city practically come to a standstill during the El Clasico between fierce local football rivals, Emelec and Barcelona. Q: How does the cost of living in Ecuador compared to South Africa? A: In the city where I lived, Cape Town, the cost of living is really high because the economy is more focused on international travelers who bring with them Pounds, Euros and Dollars. While the weak Rand (the South African currency) means that the locals end up paying first world prices in a developing economy. In Ecuador, the currency is US dollar and this certainly makes it easier to spend money although certain items, such as cars, liquor and electronics are astronomically high. For example, a bottle of Chivas Regal costs around $66 whereas in SA it is a third less. Wines here are also really expensive, whether in a restaurant or the off sales. In SA one can get a really good bottle of wine for around $6 whereas, in Ecuador, a good wine costs anything upwards of $25. I REALLY miss the wines from back home. Although the upside is that my liver finally gets a chance to recuperate J. A decent computer (I bought a Dell before leaving SA) costs around a thousand dollars here while the same model back in SA is around $600. An inexpensive, but good cup of coffee costs around $2 and this goes up to around $4 -$5, depending on the restaurant. Meals here vary from around $4 for a great breakfast consisting of bread, eggs, plantain, fresh fruit, coffee and juice to around $10 while the cost of a dinner ranges between $6 to $12 including one drink. A: The locals are great!! Before settling down here I was reading various sites and they were warning travelers about the dangers of living in Guayaquil. Luckily I did not follow their advice because I live in a really great part of the city. I have joined the local gym and I get treated just as anyone else there. I have also built up some good relations with the local security guards who all know me by now because I walk my dog around 9 or sometimes ten at night. The staff at my local coffee shops, restaurants, the mall, etc. all speak to me and they are really patient with my broken Spanish. I have been told that it helps that I look like a Latino male and I have been confused for a Cuban, Brazilian, Mexican and an Ecuadorian among others. A: One of the big positives for me is the ease in getting around the city due to all the taxis around. They are really easy to hail and they cost between $3 to $5. Unfortunately, they are also the biggest scammers in the city and of they realize you are not local they will add an extra dollar or two to the ride. The best thing when getting a taxi is, therefore, to negotiate the fare before getting in. That way you won’t be pressured into paying over the top for a short ride. Local flights are really cheap and there are many flights between the three major cities. For me personally being able to travel to the Galapagos Islands, the Rain Forest or trekking in the Andes at the drop of the hat is probably one of the biggest advantages of living here. This is a Nature Lovers paradise. Some of the negatives include poor roads and really horrible driving etiquette. There is absolutely no obeying of road rules and things such as red lights, stop streets and general road safety is foreign concepts here. Bird life here is amazing and I have around fifty who has made the giant mango trees outside my apartment their home, but with birds comes mosquitos. Really big and hungry mosquitos. The humidity really takes a lot of getting used and coupled with temperatures in the mid 30’s it really saps one’s energy. A: I really miss my family back home. Luckily we are able to Skype at least three to four times a week which has mitigated the homesickness to a certain extent. In some ways, I am actually seeing more of them now that I am living abroad. A: I would love to live in Europe for a while. I spent a few months in Italy a couple of years ago and it was great being able to travel around Europe on the Shengan Visa. But that is a long-term plan and for now, I want to soak up the Latin American culture. Besides, Ecuador has a rapidly growing economy and it is great being in an environment where one can see positive changes happening on a daily basis. A: Hands down, the culture shock. Having to adjust to an alien culture that was so far removed from my own. I am still battling to adjust but it seems to be getting easier with each passing day. A very close second is having to face government bureaucracy on both sides. Spending hours in a government building only to be told that there is a slight error, such as a missing comma, that needs to be corrected by a notary, thereby delaying the paperwork by two weeks. Dealing with government departments can be equated to entering an alternate universe whereby basic common sense is left at the door. Make an effort to connect with the locals. There are plenty of expats in Ecuador, but sadly many of them are locked away in gated communities far removed from everyday life. They therefore hardly get to see the real Ecuador and all they get to see are the sanitized version which is hardly a true reflection of the country. Learn Spanish as soon as you can. It will make acclimation to the new culture so much easier and you will learn a valuable skill in the process. Don’t expect all the comforts you had back home. Remember that it is a developing country, therefore, it may not quite live up to everyone’s expectations. But if you love the outdoors, fresh air, virgin forests, unspoiled beaches and a great Latin culture with good food, music and dance, then this is the place to be.